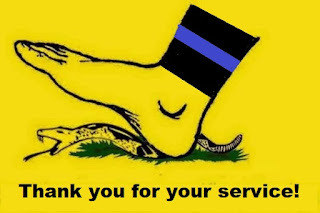 Gun rights or copsucking? Your choice. If you consider yourself a gun rights enthusiast, but you support cops and the military, you aren't Ready to Rumble, you are Ready to Crumble. Ready to willingly cave in to whatever "law" your heroes decide to enforce against you. Don't fool yourself-- if they have to choose between the paycheck/pension/social status, and respecting your rights, you will be tossed aside like anonymous skid-marked underwear hanging on their doorknob. 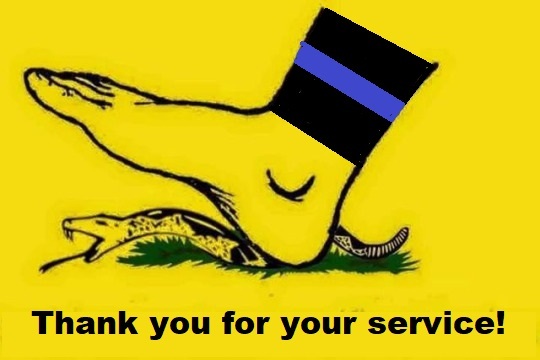 You are throwing your support behind your enemies-- the very people who will be treading on you while prying the guns out of your cold, dead hands. Assuming you didn't hand over all your guns immediately when your heroes demanded you do so. There are few creatures as pathetic as a cop-supporting gun-rights enthusiast. What other molesters do they throw their support behind?